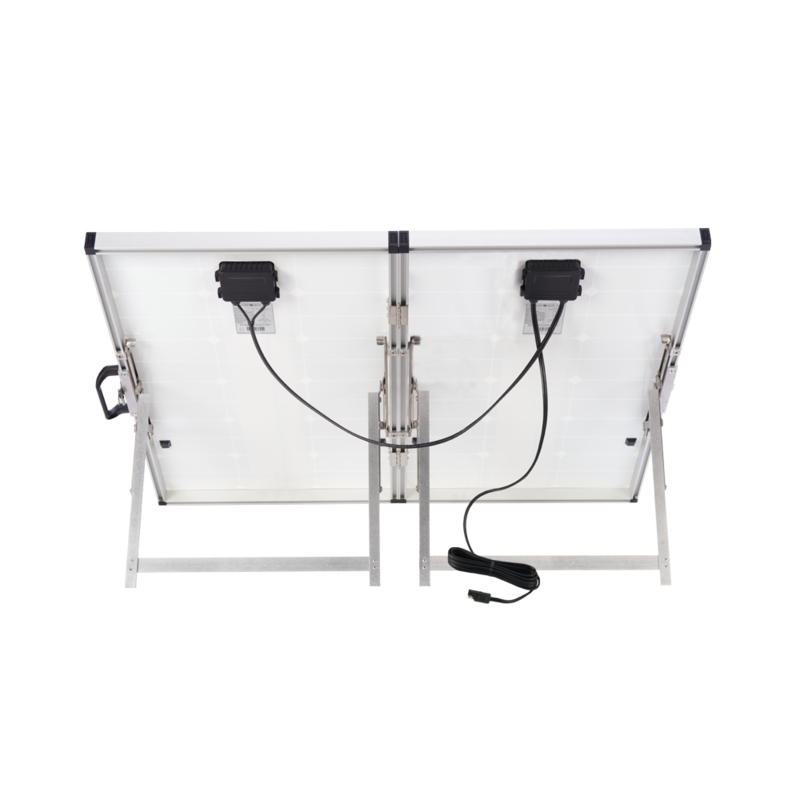 Specifically designed for Winnebago RVs that are solar ready, our 140-Watt unregulated portable solar kit does not include a charge controller. It plugs directly into the Winnebago factory-installed sidewall port. This medium sized universal portable solar kit will generate 140 watts at 7.8 amps. Remove the panel from its padded case, open it, unfold the legs, set it in the sun, and connect to your battery. That’s it!